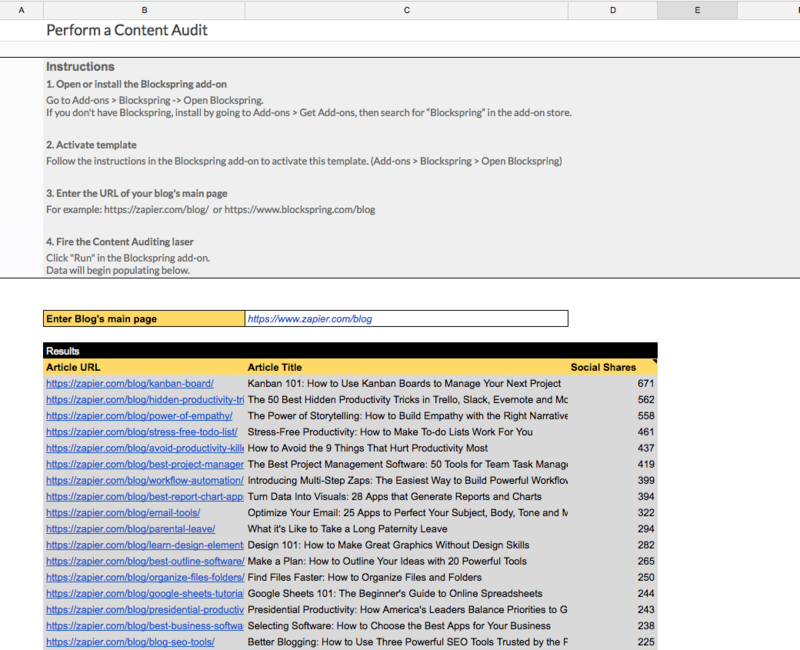 Perform a Content Audit to understand how well your content is being shared on social networks. Based on a blog homepage, import.io scrapes all the blog posts and the number of social shares is collected. This is a great way to do competitive research on other content producers, and to investigate your own content to look for opportunities for improvement. Coupling this information with web analytics can be even more useful, as you'll be able to understand how social sharing is/isn't involved in generating conversions on your site. Some blog homepages may not be scraped properly by Import.io, which leads to no useful information.